Sleeping in waders: working in inundated wetlands. Last week barefoot team members Dr. Douglas Tait and Luke Jeffrey spent a week wearing waders at Cattai Wetland, NSW. They were accompanied in the field by Prof. Scott Johnson and Roz Hagan (SCU Geoscience), along with honours student Zach Ford. 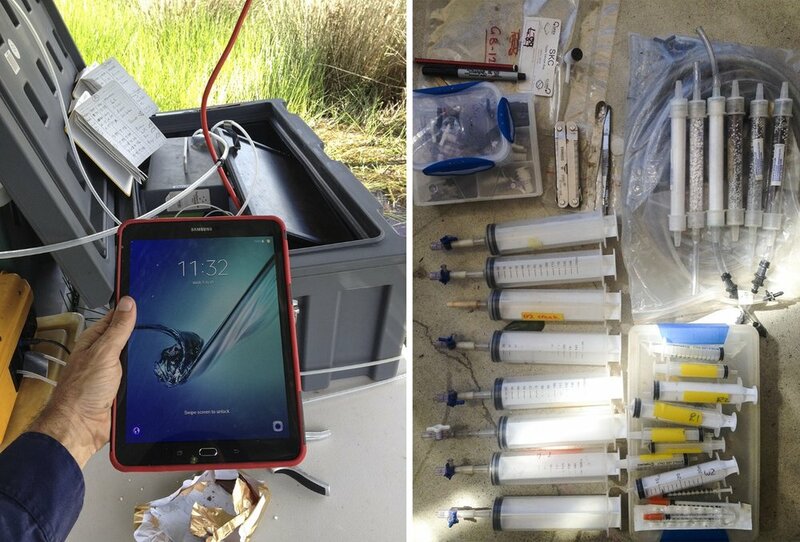 The research trip was the first deployment of a seasonal sampling strategy, hoping to initially capture some inundated conditions within the freshwater wetland. By chance the fieldwork was conducted just three days after devastating flooding and extremely high rainfall events that occurred on the NE NSW coast c/- ex-tropical cycle Debbie. Needless to say the study site was very soggy, very muddy, completely inundated and swarming with some of the worst mosquitoes on record (McDonnell, 2017), thus making the fieldwork challenging! The muddy campsite set amongst higher ground. The sampling strategy aimed to measure and compare seasonal methane ebullition, plant mediated methane and diffusive methane fluxes, between different vegetation habitats, and between permanently and non-permanently inundated wetland environments. Accounting for sediment and diffusive flux using a sediment chamber. Honours student Zach Ford measuring diffusing flux rates from Cattai wetland. 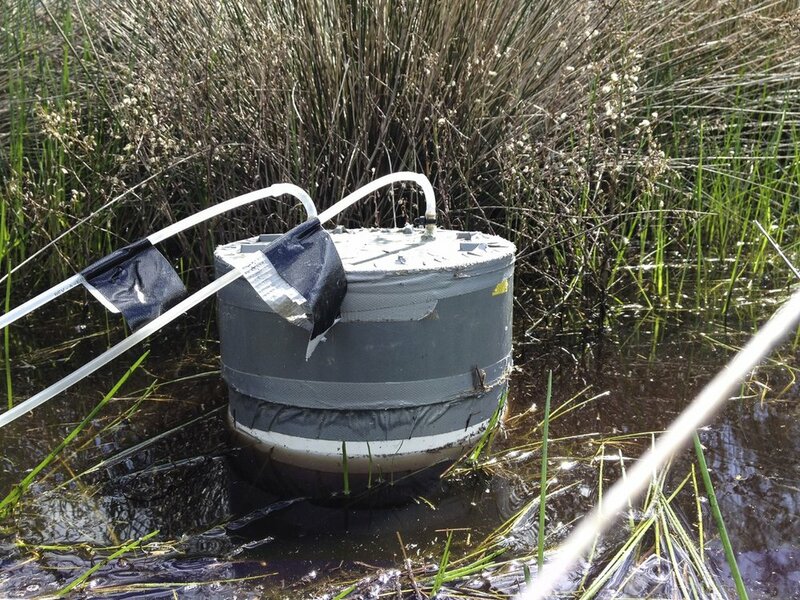 Custom built vegetation chambers were deployed as a simultaneous time-series experiment to measure the diurnal flux rates of methane from within 3 different vegetation types. To determine some potential drivers and to complete an integrated methane flux of the system, soil redox conditions were measured (with the help of SCU Geoscience), photosynthetically active radiation (PAR), sediment and diffusive flux rates, as well as ebullition (from the permanently inundated site), were accounted for over a complete 24h cycle. Time series station A and B with gas tubing amongst the krausii rush two feet underwater. Time series vegetation chamber A and the associated flux of methane and CO2. Time series B chamber set amongst the tall phragmites. Time series station C set amongst the casuarina forest.  The research will form a chapter of Luke Jeffrey’s PhD looking at groundwater and carbon dynamics of modified wetlands, under the supervision of Dr. Douglas Tait, Dr. Damien Maher and Prof. Isaac Santos. The research will also provide data for an ARC linkage project looking into ways of maximising carbon sequestration within freshwater wetlands.